Three sets of twins, united since birth, walk side by side at Liberty University. Anna and Emillie Tucker are not identical twins, but they live close to identical lives. They dress the same, have the same major, live together and share a birthday. They are the Tucker twins. Emillie Tucker has short curly hair and tells people she meets that a cursive “E” looks curly. On the other hand, Anna Tucker has beautiful, straight, shoulder-length hair and tells people the letter “A” is very straight, just like her hair. 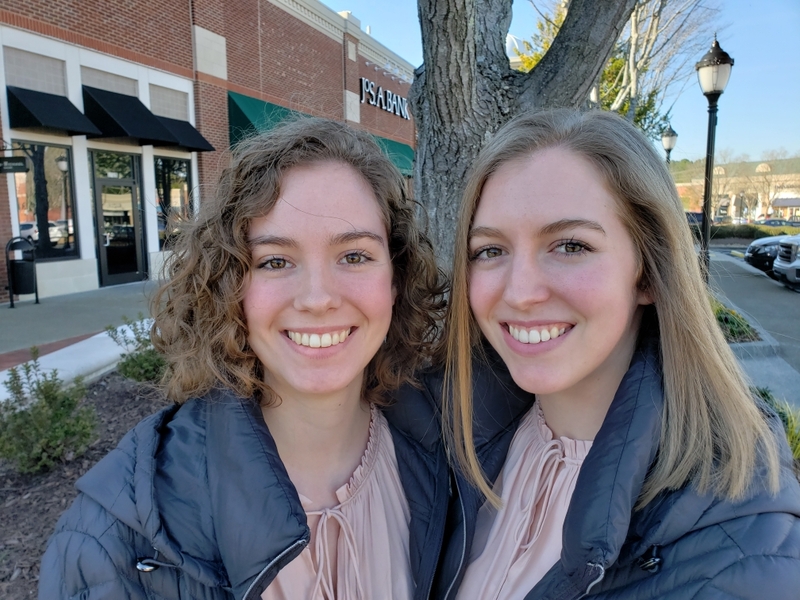 “But I would say probably, almost, 90 percent of the time we are referred to as ‘the twins,’” Anna Tucker said. Anna Tucker is usually the first to wake up in the morning and go to work. Therefore, it is her designated job to choose an outfit, not only for herself, but also for her sister. “In the morning, I get up, and I put on whatever I feel like wearing that day, and then sometimes I’ll pull something out and lay it on the floor (for Emillie),” Anna Tucker said. According to Emillie Tucker, she has a very laid-back personality that goes with the flow of life, to which her sister agrees. Because of the Tucker twins’ decision to match each other, they have received a variety of responses from onlookers. Military kids Marissa and Megan Petros are identical twins. Marissa Petros is studying nursing while Megan Petros is studying psychology with a cognate in counseling. Because they are identical twins, Megan Petros expressed her appreciation for those who call them by their names. Kyli and Lia Smith are also identical twins. At seven months old, the Smith twins were adopted from Taiwan by an American couple. When they were three years old their family moved to China where they grew up. Now that the two are at the same university, they not only decided to live in separate rooms but also separate buildings. Even so, their twin connection remains strong. According to Kyli Smith, not living together has caused some miscommunication, but she admitted that it is hard to lie or keep anything from each other. Megan and Marissa Petros on the other hand made the decision to live in separate rooms but be right across from each other on the same hall. “I think next year we’ll be roommates though,” Megan Petros said. Anna and Emillie Tucker were born September 9, 1998 and have an undeniable connection and love for each other’s companionship. They both described being a twin as having a constant friend by their side and sharing a special connection that is hard for them to explain. The pair is inseparable. The Smith twins feel similarly. According to Lia Smith, when she is asked what it is like to be a twin, she asks the person what it is like to be single. Similarly, the Petros twins expressed that there are pros and cons to being twins but that the pros far outweigh the cons. While relationships between twins vary, the Tucker twins openly express their dedication to the relationship. As the Tucker twins look forward to graduation in May, some of their dreams conflict. 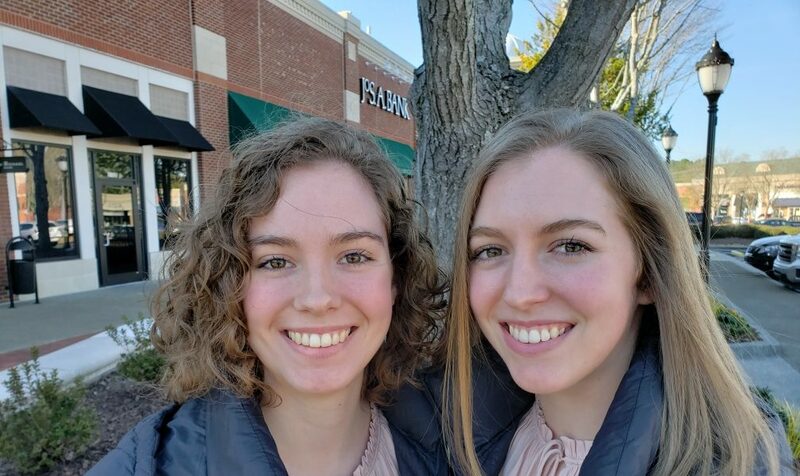 Anna Tucker currently desires to go to graduate school to pursue a further education, while Emillie Tucker wants to begin writing, publishing and illustrating content for the fantasy fiction books she wants to write.